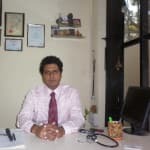 Dr. Santosh Joshi is an experienced Homeopath in Mulund, Mumbai. He has over 16 years of experience as a Homeopath. He has done BHMS. You can consult Dr. Santosh Joshi at Happy livin Clinic in Mulund, Mumbai. You can book an instant appointment online with Dr. Santosh Joshi on Lybrate.com. Lybrate.com has a nexus of the most experienced Homeopaths in India. You will find Homeopaths with more than 32 years of experience on Lybrate.com. You can find Homeopaths online in Mumbai and from across India. View the profile of medical specialists and their reviews from other patients to make an informed decision. Does Homeopathy Help In Treating Autism? Homeopathy the science which has given so much to the society yet the one which is commonly persecuted as placebo effect, it isn’t science so on and so forth. But we are not just believers we are a bunch of intellects who have seen the efficacy of the science and art when practised in the correct manner has yielded best results. I have seen many cases where there was no hope to offer to the suffering, but Homeopathy came to their rescue. Homeopathy is a science based on sound scientific principles and has a complete pharmacopeia describing the effects of the medicines. We get queries from all over the world for Homeopathic treatment for Autism, we have seen encouraging results with Homeopathic medicines, not only did these Homeopathic medicines were easy to give but also effective. No side effects, what else can one expect but still lot of those suffering kids do not get the benefit of Homeopathic medicines. Thanks to the bad publicity drive by so many from ulterior motives. We take into consideration the reports by the Early intervention team and it also undergoes the detailed Homeopathic case taking which is an essential part to select the right homeopathic medicines that suits the individual. As homeopathic medicine is highly individualised we need to find the correct remedy that suits the individual, so it can make the positive impact on the individual and help in dealing with the disorder. Some parents are worried about the distance how can Dr. Joshi’s center for Autism help patients in other parts of the world, but we have seen the complete treatment cycle from various countries and states and successfully implemented our treatment protocol seamlessly. Homeopathic medicine can be given for long term without any side effects, and we have seen that the percentage of regression after improvement decreases. Give your child the Homeopathic care and it can brings encouraging change and benefits the child in the long run. Time is precious don’t waste it.